Imprisoned leftist leader Luiz Inacio Lula da Silva's unlikely bid for Brazil's presidency took a big step forward Wednesday with the formal registration of his candidacy in the capital Brasilia. "I registered my candidacy for the presidency of the republic..., certain that I can do a lot to pull Brazil from one of its worst crises in history," Lula, who leads in the polls, declared in a letter released to the party. The gesture shook up an already wildly unpredictable contest which features a former army captain who praises Brazil's past dictatorship and an environmental campaigner among the other frontrunners. "Today is a very important date. 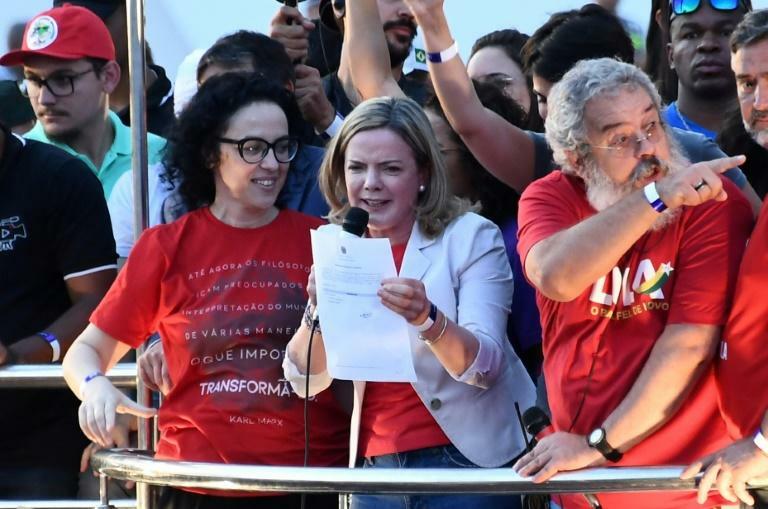 We came here to register comrade Lula's candidacy, despite those who didn't want it to happen," said Gleisi Hoffmann, head of the Workers' Party founded by Lula, after she emerged from court brandishing the official registration paper. But the drama could prove little more than symbolic. Lula only began serving a 12-year prison sentence for accepting a seaside apartment as a bribe this year and under Brazil's clean slate law he is likely to be barred. The electoral court will soon issue a ruling. Despite all his legal troubles, Lula easily heads opinion polls. At the same time, he has soaring rejection ratings, reflecting his evolution into an intensely divisive figure. After years of recession, rising crime and a corruption scandal that sucked in everyone from Lula to many of his enemies, a large portion of Brazilians would be happy to see the Workers' Party founder also removed from the scene. 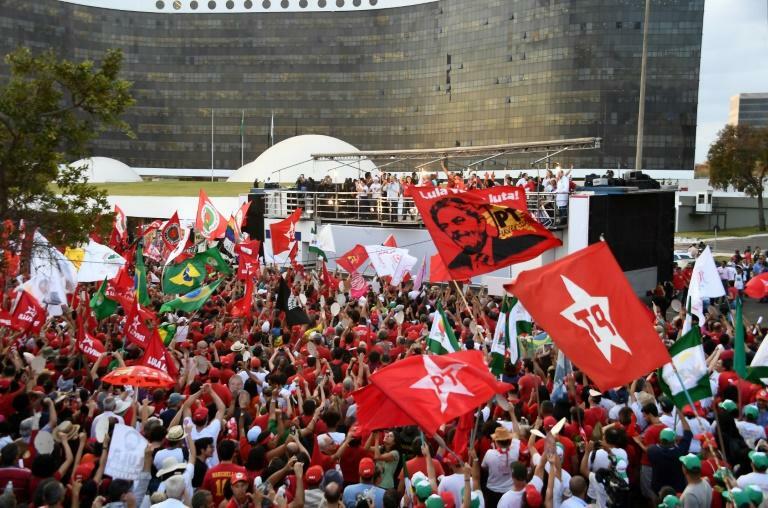 Rousseff hammered home that claim on Wednesday, telling the energetic leftist crowd saying that the candidacy registration alone represented a triumph. "They thought we would stop resisting but we're still on our feet," she said. "They have been defeated because the coup plotters have no candidate who can beat the Workers' Party candidate." Among the other leaders representing Lula on Wednesday was former Sao Paulo governor Fernando Haddad, who is designated as vice president on Lula's ticket. The electoral court has until September 17 to rule on Lula's candidacy registration. If Lula is barred, Haddad would likely run in his place, facing right-winger Jair Bolsonaro and center-leftist environmental campaigner Marina Silva among others.